T-Hub is designed for technology-related start-ups. Its mission is to catalyse the creation of one of the tightest and most vibrant entrepreneur communities in the world in order to encourage and fuel more start-up success stories in India. A technology incubator, with collaborative efforts from the Indian School of Business (ISB), the International Institute of Information Technology (IIIT-Hyderabad) and NALSAR University of Law, besides various other organisations. The Telangana state government has put in Rs.40 Crore on the 70,000 sq ft facility constructed on the IIT-H campus. By giving access to top mentors, investors and academia, the T-Hub building will help every entrepreneur realize their dream. We are proud to announce that loanyantra.com has been selected among 500 start-ups. This gives us more confidence and more focus to achieve our goal. Thanks to the existing customers, happy to quote you, we achieved it because of you. Looking forward to serve our customers better. 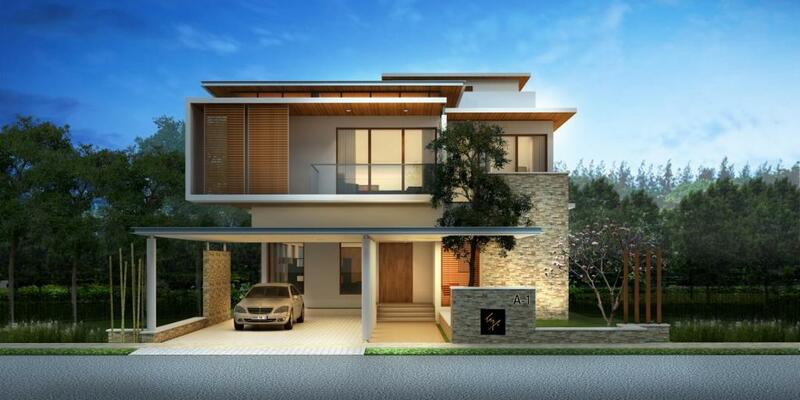 With the reviving economy having infused a renewed sense of confidence among High Net worth Individuals (HNI) home buyers, there has been a significant surge in demand for luxury homes asset class in the metropolitan cities of India. They want more than just four walls and a parking slot. Indian luxury home buyers have sound reasons for why they want to live in premium rather than ‘normal’ homes. The 270 degree or 360 degree window view from an apartment is one of the important aspects. The view of swimming pool, various sports courts, play area and excellent landscaping soothes the eyes and sensibilities of the occupants. This takes the luxurious living experience to another world. The increasing demand for properties in India rivals that of gold. Real estate and gold are the most traditional forms of investment in India. However, properties present the advantage of being an asset that rises in value at every instance – and it is also a ‘performing asset’, meaning that it serves a practical purpose even as it gains in value. Given the fact that luxury homes are always in demand even on the secondary market, HNIs correctly see them as the perfect investment opportunity that guarantees multiplied returns in the future. What do you prefer, single family home or multi family home? Are you looking for a good investment? Do you want to invest in a house? Are you in a dilemma whether you should go for single family home or multi family home? Here we are to help you. When you consider single family home (1 or 2 bhk) and small multi family home (3 or more bhk), for investment purpose, though you can afford for a bigger house, it is always better to go with a single family home. Here are some facts why a new investor should go for 1 bhk or 2 bhk. A house to maintain it neat, it needs some extra attention. This ofcourse charges your wallet. When you buy only for investing, it is better to go for a small house as the expenses on repairs and replacements are minimum. Advantage is that for a smaller house, tenants usually take interest and initiative on these small works. Tenants usually stay for longer in small homes than in bigger homes. Also, single family homes rent more quickly than multifamily ones. This means, fewer days actually your house is sitting vacant. This may not seem like a big deal, but it can be. In a single family home, you don’t have to worry about the tenants getting along. In a small multi family, it is tough to have understanding and cooperation. This might affect your home and might result in more repair works or association problems and discipline problems aswell. The best thing about single family home buyers is that, it appeals to the largest amount of buyers. Apart from retail buyers, investors would be interested in the property as well. It is always, the demand for 1 bhk and 2 bhk is relatively more when compared to a 3 bhk and a 4 bhk, irrespective of the area and the luxury. Hence, as a new investor, you will have fewer headaches with a smaller home and more profit in future. Author keerthiPosted on October 14, 2015 January 23, 2017 Categories Home Loan, House sale2 Comments on What do you prefer, single family home or multi family home? It is very common for a home loan payer to do the part payment of home loan to reduce the principal amount or a penalty for reducing the present interest rate. Both the options are the best if you want to close your home loan fast. 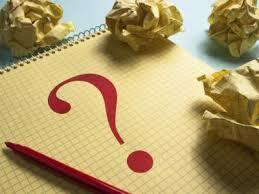 But the question arises which option to take when. Here is a brief description about part payment of home loan and interest reduction penalty. 1. What is part payment of home loan? What is Interest reduction penalty? Part payment of home loan- Payment made to reduce the principal of your loan. For suppose, every now and then in an year, if you save, say, minimum of Rs. 50,000 or say Rs. 1 Lakh. You can pay that amount to the bank against your home loan. This amount will be added to the principal. Inturn, this will reduce your loan tenure. 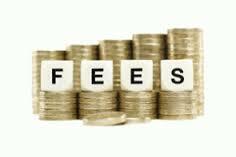 Interest Reduction Penalty – A minimal fees to be paid, to the bank, if you want to change your home loan interest rate to the present home loan interest rate. 2. When do you opt for either of the options? 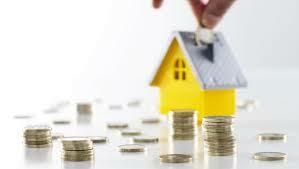 Part Payment of home loan – Don’t wait to pool up your savings for part payment of home loan. Paying a minimal amount also can reduce your principal which will reduce the loan tenure. No extra fees to be paid. But be careful with your bank’s terms. Though there is no extra fees, there is a limit on the no. of times you go for part payment in an year. Interest Reduction Penalty – If your interest rate is higher than the present interest rate and makes a much difference on your EMI, mark it in your to-do list to change your interest rate. For example, if you are on 12 % interest and the present rate is 9%. You are paying 3% extra on your home loan which is merely a waste. Instead, pay the penalty and change to the present rate, and plan for a holiday on your monthly savings. 3. Which one to choose? This question is valid when you are almost at the end of the home loan tenure. Or, if you plan for a balance transfer. If you are in any of these situations, then paying penalty for interest reduction is a no no. This would charge your pocket an extra than reducing the burden. If you have savings, it is better to opt for part payment of home loan which will help reduce your tenure and if you want, can also reduce the EMI. Hence, remember that both the options are the best. But what is important is how well you choose. Steps for NRIs on how to sell a property in India! 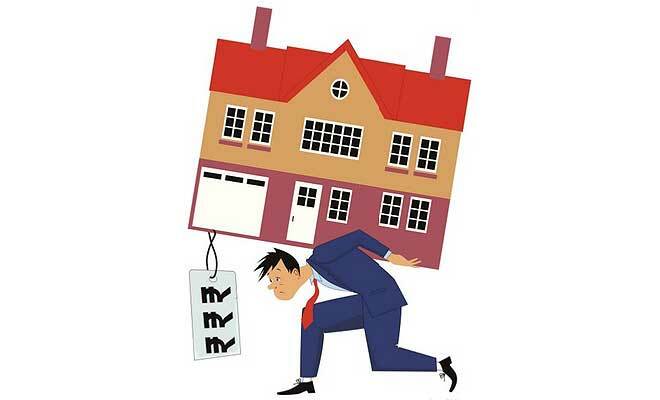 Are you an NRI and inherit a property? Did you buy a home in India and got settled in other country. Are you planning to sell off that home. Here are the details. The process is quite similar for residential Indians and non residential Indians except for the latter have tax implications and repatriation policies. If the property is inherited, then the title should be changed to the seller’s name by the process of mutation of revenue records. This transfer requires a will or a succession certificate. If one cannot procure a copy of the will, then the local court can issue a succession certificate. With this certificate, one can apply for a title change in the mutation of revenue records office. This procedure is time consuming and it is advisable to have them changed earlier. No objection certificate to show the clearance of litigation and debts. Apart from these documents, the seller should have a PAN card number to sell properties that involve big amount transfers. The NRI can apply PAN to sell the properties or he/she can submit form 60 at the registrar office for the same. If there are no close friends or relatives to trust with the transaction, it is wise to consult a brokerage firm to assist in the selling process. However, if the seller has realty market sense and people to support then he/she can go ahead with the selling process on their own. The brokerage firm can help you in suggesting the market situation, finding suitable buyers, price trends and risks involved. They can assist in fixing the selling price, applying for PAN and attorney service to obtain legal documents and tax implications. Although they provide end-to-end solutions, brokerage in India has no legal license and it could be troublesome if the brokerage fee is not fixed properly. It is advisable to find the right brokerage firm and fix the fee before initiating the selling process. It is essential to grant the power of attorney for the transaction to a PoA holder. There is no need to grant a complete power of attorney; instead the seller can give ‘Admit PoA’ rights to the PoA holder who will merely represent the owner in the registrar office. According to this, the seller should duly sign all the documents and the PoA holder will represent him in the sale registration. However, issuing the PoA process differs from time to time and each firm will have a different process. 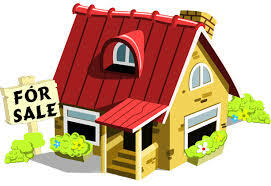 Once the registration is complete, the seller should also concentrate on the tax implications. The NRIs have long term capital gains if the property was sold after 3+ years of purchase, the tax for which comes to 20.6%. Further, the basic exemption of Rs. 2 lakh is not applicable for NRIs. There are other tax exemptions available for the NRIs while selling the property. The sale money can be repatriated through official dealers but it should not be more than US $1 million per year. If the property is inherited from one NRI to another NRI, then you need to get a special permission from the Reserve Bank of India. However, the brokerage firms will guide you through this process. Do opt for a legal help. They act as best resort and pull you out from the property issues. Author keerthiPosted on October 8, 2015 January 23, 2017 Categories UncategorizedTags NRI House Sale, Sell a property6 Comments on Steps for NRIs on how to sell a property in India! 5 Tips to sell your home fast! Learn how to keep house sale on track! Pankaj, a 30 year old smart guy, have been staying happily with his family in his home for over 5 years. He has a son whom he is thinking to join for schooling. His son got an admission in a school to where he has to travel for an hour from his house. Pankaj doesn’t want his son to travel so far everyday. So he decided to take a new house near his son’s school and sell off his present house. Emotional Pankaj, tags a ‘for sale’ board to his house. It’s been three months, the tag is still hanging. He doesn’t know what went wrong for the situation. So, he starts browsing about his need. He finds an article that answers his queries. Your house is a home filled with love and affection for you. But for the buyers, it is a house, just a house. Once your home is on sale you need to keep a track and insure you get to closing with minimal to no hiccups. Mess something up and you may find yourself without a buyer or with the buyer walking away after the deal implodes. This article provides needed tips to sell your home and also explains how to keep your home sale on track. Without question, the number 1 thing a seller can do to prevent delays on selling their home is to ensure that the owner has the list of verified documents prior to placing the home on market. This is to ensure the potential buyers that they are acting in good faith and have all required documents. List of documents needed before you hit the ground. 3. Share certificates issued by the society. 6. Proof of payment of all municipal taxes, society charges and electricity bills upto date to make sure there are no outstanding dues. 7. Income tax receipts from the seller to make sure he has paid all the income taxes and has no restriction to sell his property. In real estate, slow and steady wins the game. If you rush the sale and don’t get your property in decent enough shape, you will miss an opportunity of getting more money from it. If you let your feelings get a hold of you and dictate the price, you’ll not only miss the chance to sell, but also have that mistake follow you, for the future, possible transaction. So, it is absolutely positively essential that your home is priced correctly from day one. Remember that over priced homes take longer to sell and often sell for a much smaller percentage of the original list price. To make the house ready for the sale, the must do things are cleaning, painting, and decluttering. Your home must truly be ready to show before it hits the market. You cannot do anything with the location, but keeping the home clean and tidy with all the modifications done, would attract the buyer. You only get one chance to make a first impression and this is especially true when selling a house! For those who want to keep their home sale on track, it is good to have an experienced real estate professional in your corner. Since there are so many pieces to a real estate transaction, it is critical that you hire a professional who has experienced nearly every possible scenario that is possible. If you have an agreement with the agent, make sure you are in constant communication with all those who are involved in your home sale process. Hence, when going for a home sale, ensure that you are not in a hurry while pricing . 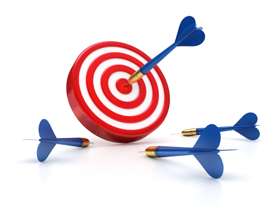 Ensure that you are on the correct path by taking experts decision. If you cannot take the burden or if you are running out of time, its better to go with a professional real estate agent. Author keerthiPosted on October 6, 2015 January 23, 2017 Categories Home Loan, House saleTags House Sale, tips for a house sale to keep on trackLeave a comment on 5 Tips to sell your home fast! 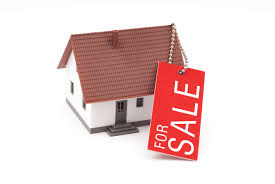 Learn how to keep house sale on track! As compared to traditional insurance plans, Term insurance plan is a basic insurance plan wherein you pay a much lower premium to get a high sum assured. The other main difference is the death benefit which is provided only in case of death of the policy holder. It means that in case the policyholder survives the entire term of policy, nothing will be paid to the nominee hence there is no return on maturity of the term plan. A person of 35 years of age can buy a cover of Rs. 1 crore at around Rs.10,000/- per annum only. Why is it available so cheap? Because there are no agents involved; it is similar to your online shopping wherein no shopkeeper/distributor is involved . All the amount which company have to pay towards commission/other payouts and even the other administrative costs are much lower. The same amount is passed back to the end user. The other statistically proved reason is the longevity of those buying online as the population is mostly between in between 30s and 40s and also more alert and conscious about their security & well being. Though there are lot of advantages as seen above for the policy buyer but ultimately it’s your nominee who is going to apply for the claim if arises. You have to make sure that the technology/lodging claim online and other filing process should not become a bottleneck for them because nominee in most cases would be either wife or parents. They should not be made run from pillar to post to get their due claim. This happens mainly because there is no agent or mediator who can help in all the paperwork (online) to get it done especially in times when they are under emotional trauma due to the death of their loved one. Even local office of insurance companies won’t be able to help because it is online and could be done online only. Online term insurance plans are the best if you can educate your dependents for the procedures and formalities involved in the claim and also keep them updated about your policy contract and jurisdiction. Enjoy your cup of coffee without comparing its cost to the term plan and don’t fall prey to marketing gimmicks, be smart and buy smart. Learn about the home loan interest saver plans! First, close my home loan as fast as I can. Next, have funds for unexpected expenses. So, to close my home loan either I have to increase my EMI or reduce the tenure of the home loan. Since I am earning enough, I would like to increase my EMI. So what happens to my savings and other investments? I don’t want to move any of my investments. I want to have funds for the reasons unknown. What options do I have then? Yes, for those under this dilemma, home saver scheme is an option. Savings on Home loan interest can be done by depositing your surplus funds in an account. And this account will be used to pay your principal amount of your home loan or reduce the interest amount you pay and this in turn, helps you to reduce the tenure. But the interest you pay will be relatively higher than you pay for a normal home loan. At present, there are five banks which offer this scheme. Each bank’s scheme has its own name. And, each scheme has its own advantages and dis-advantages. Save while you pay the interest on Home loan. Here are the options for Savings on Home loan interest. Savings on Home loan interest by SBI. It enables the customers to earn optimal yield on their savings by reducing interest burden on Home Loans. Women 20 bps above the MCLR i.e. 9.40% p.a Rs. 834 30 bps above the MCLR i.e. 9.50% p.a. 55 bps above the MCLR i.e. 9.75% p.a. 75 bps above the MCLR i.e. 9.95% p.a. 2. Savings on Home loan interest by IDBI. Eligibility – Salaried individuals Who crossed 22 yrs of age. 3. Savings on Home loan interest by Citi Bank. Eligibility – Salaried individuals with at least two years experience. Loans up to Rs. 25 lacs – 9.85% to 10.00% p.a. Loans > Rs. 25 lacs (without home credit facility) – 9.85% to 10.25% p.a. Loans > Rs. 25 lacs (with home credit facility) – 9.95% to 10.35% p.a. Home Loan Takeover with Enhancement/ Home Loan Top-up (with cash out portion within 100% of Home Loan amount) 9.90% p.a. to 10.65% p.a. 4. Savings on Home loan interest by Standard Chartered. The surplus money in your Linked Transaction Account will be used to offset the principal of your home loan.Effectively, interest will be paid only on the difference between the outstanding loan amount and your surplus funds. 5. Savings on Home loan interest by HSBC. Your Smart Home is operated through a Smart Home account that acts as a Current Account with an overdraft limit equal to the amount of the loan disbursed. Your home loan interest is calculated, on the principal outstanding minus the savings deposited in your Smart Home account every month, over and above your EMI. So,you can reduce the quantum of interest paid and thereby reduce the tenure of your loan. The interest component or the principal amount on your home loan decreases hence the tenure also decreases. You can withdraw money when needed without any prior notice to the bank. You are forever on a safe side as you save money for unexpected necessities. It also helps to reduce tax burden. Calculations are done on a daily basis. The interest you pay on your home loan is more than you pay for a normal home loan. You might always withdraw the idle money from the account for unnecessary expenses. If you are not sure of savings during the tenure you might end up paying more interest on your home loan. Banks (some branches) usually lengthen this loan process as the benefit is more to the customers than to the bank. 6. Savings on Home loan interest by AXIS Bank. Super Saver Home loans is a unique financing solution that helps you save on the total interest payable on your home loan. Loan tenure upto 20 years. Loan Amount 1 cr and above. 7. Savings on Home loan interest by PNB. Provides the borrowers the advantage of substantial savings on the interest component on account of facility to deposit the surplus funds in the overdraft account and withdraw the same as per the choice and needs. Best fit for – Salaried employees and self-employed individuals whose income is not constant. Before you opt for a Home Saver option, please do know the eligibility and all the terms and conditions about the calculations to avoid confusion. For those who are confident of savings and for those whose return on other investments is lesser, can really try to work on this option for savings on Home loan interest. Author keerthiPosted on October 2, 2015 January 23, 2017 Categories Home LoanTags Advantages, Citi Bank Home Credit, Disadvantages, Home Saver, HSBC Smart Home, IDBI Home Loan Interest Saver Option, Punjab National Bank Flexible Housing Loan, SBI Max gain, Standard Chartered Home SaverLeave a comment on Learn about the home loan interest saver plans!